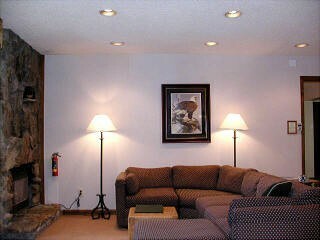 This is a beautiful condo near Heavenly Valley. 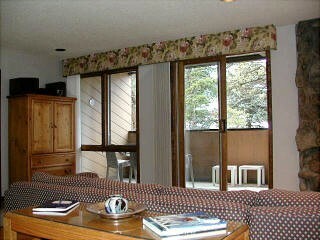 Only five minutes to the slopes, this three bedroom, two and a half bath condo is practically new. The unit sleeps up to ten people. There is a king bed in the master bedroom, a queen bed in the second bedroom, a queen bed and sofa sleeper in the third bedroom and a queen sofabed in the living room. The condo is one of larger three bedroom units in the new center village, at nearly 1100 square feet. Fitness Center onsite. Outdoor hot tub for those after ski hours or when you just need to take a break from the ski slopes. 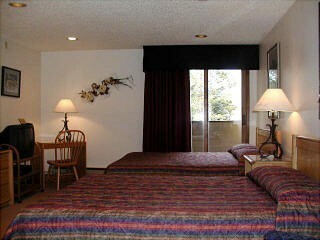 Condo is located on Ski Run Blvd in the National Forest above Lake Tahoe. 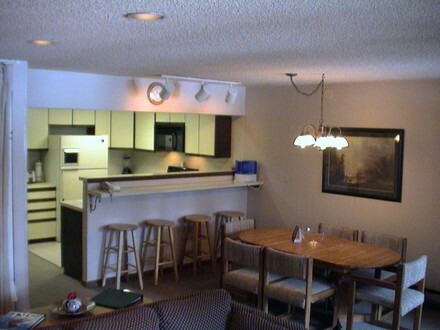 It is a two level back unit with picture windows on both levels looking out onto the National Forest and is 1/3 mile to the Heavenly Valley Ski Lifts, 3/4 mile to the lake, beach & a marina, 1 miles to Nevada & the casinos, Harrahs, Harveys & Caesars Tahoe. A perfect place to vacation Winter or summer. Sorry pets not permitted. Need more space, just ask. We may be able to secure additional rooms. Downhill & Cross country skiing, Biking, Hiking, Fishing, Hunting, Golf, Horseback riding, Boating, Water & Jet skiing, Swimming, Shopping, Gambling, A Wildlife and Historic area.